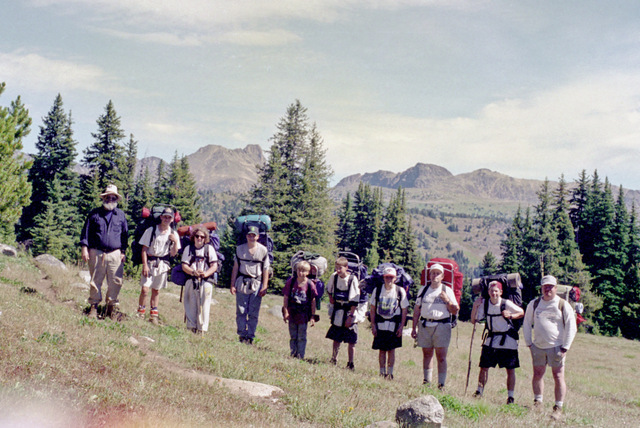 Troop 24 "The High Adventure Troop"
Our big backpacking trip for the summer of 1996 was the Pasayten Crazyman. This was a very strenous 8 day trip in the Pasayten Wilderness covering 60 miles with almost 13000 feet of elevation gain. 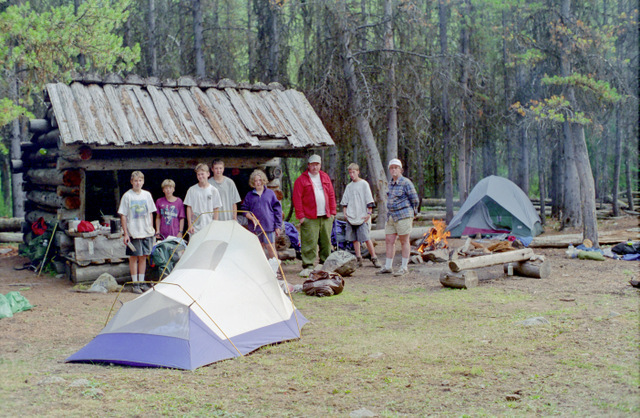 This trip would probably not be feasible today as large portions of the route were ravaged by forest fires in 2003. 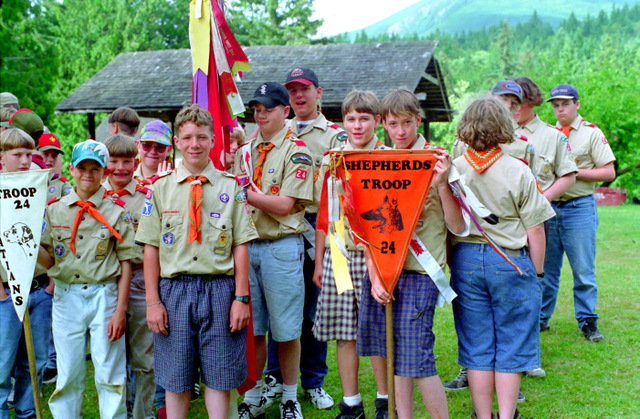 Troop 24 Scouts: Jason Smith, Adam Phillips, Jon Younger, Danny Stallings, Peter Goodwin, Andrew Mooseker, Kyle Meissner.